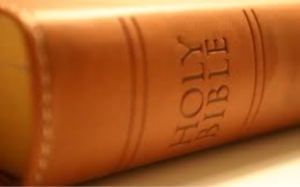 We believe that the Bible is God's divine revelation through which He reveals to us His will. Therefore, the Word is the final authority for life. By this divine Word, God clearly reveals Himself to us, as far as is necessary for us to know in this life, to His glory and our salvation. The Bible therefore clearly explains to us the way of salvation through Jesus Christ, the Son of God. The practice of church discipline, which includes preserving and promoting harmony and unity within the Church as well as keeping all members obedient to God. Historically, we trace our roots through the Reformation of the 16th century, right back through the ancient church and before that through Israel, all the way back to Abraham and even to Adam, the worlds’ first believer. This creed is called the Apostles' Creed, not because it was written by the apostles themselves, but because it contains a brief summary of their teachings. It sets forth their doctrine, as has been said, "in sublime simplicity, in unsurpassable brevity, in beautiful order, and with liturgical solemnity." The Apostles' Creed is based on the creed used in Rome around 400 A.D., which in turn goes back another two hundred years. It is typical of the creeds used in the western part of the Roman empire. The Nicene Creed, also called the Nicaeno-Constantinopolitan Creed, is a statement of the orthodox faith of the early Christian church, in opposition to certain heresies, especially Arianism. These heresies concerned the doctrine of the Trinity and of the person of Christ and were refuted at the Council of Nicea (325 A.D.). Yet it was not this Council but the Council of Constantinople (381 A.D.) which adopted the Nicene Creed. This Council incorporated into its creed various formulations from the decisions of Nicea and expanded the confession concerning the Holy Spirit. The Nicene Creed is typical of the creeds used in the eastern part of the Roman empire. Both the Eastern and the Western church held it in honour, although with one important difference. The Western church included the phrase "and the Son" (known as the Filioque) in the article on the procession of the Holy Spirit, a phrase which to this day is repudiated by the Eastern church. And in one Lord, Jesus Christ, the only-begotten Son of God, begotten of the Father before all ages; God of God, Light of Light, true God of true God; begotten, not made, of one substance with the Father, through whom all things were made. Who, for us men and for our salvation, came down from heaven, and became incarnate by the Holy Spirit of the virgin Mary, and was made man. He was crucified for us under Pontius Pilate; He suffered and was buried; and the third day He arose, according to the Scriptures; and ascended into heaven, and sits at the right hand of the Father; and He will come again with glory to judge the living and the dead; whose kingdom shall have no end. And we believe in the Holy Spirit, the Lord and Giver of life; who proceeds from the Father and the Son; who with the Father and the Son together is worshipped and glorified; who spoke through the prophets. (1) Whoever desires to be saved must above all things hold to the catholic faith. (2) Unless a man keeps it in its entirety inviolate, he will assuredly perish eternally. (3) Now this is the catholic faith, that we worship one God in trinity and trinity in unity, (4) without either confusing the persons, or dividing the substance. (5) For the Father's person is one, the Son's another, the Holy Spirit's another; (6) but the Godhead of the Father, the Son, and the Holy Spirit is one, their glory is equal, their majesty is co-eternal. (7) Such as the Father is, such is the Son, such is also the Holy Spirit. (8) The Father is uncreate, the Son uncreate, the Holy Spirit uncreate. (9) The Father is infinite, the Son infinite, the Holy Spirit infinite. (10) The Father is eternal, the Son eternal, the Holy Spirit eternal. (11) Yet there are not three eternals, but one eternal; (12) just as there are not three uncreates or three infinites, but one uncreate and one infinite. (13) In the same way the Father is almighty, the Son almighty, the Holy Spirit almighty; (14) yet there are not three almighties, but one almighty. (15) Thus the Father is God, the Son God, the Holy Spirit God; (16) and yet there are not three Gods, but there is one God. (17) Thus the Father is Lord, the Son Lord, the Holy Spirit Lord; (18) and yet there are not three Lords, but there is one Lord. (19) Because just as we are compelled by Christian truth to acknowledge each person separately to be both God and Lord, (20) so we are forbidden by the catholic religion to speak of three Gods or Lords. (21) The Father is from none, not made nor created nor begotten. (22) The Son is from the Father alone, not made nor created but begotten. (23) The Holy Spirit is from the Father and the Son, not made nor created nor begotten but proceeding. (24) So there is one Father, not three Fathers; one Son, not three Sons; one Holy Spirit, not three Holy Spirits. (25) And in this trinity there is nothing before or after, nothing greater or less, (26) but all three persons are co-eternal with each other and co-equal. (27) Thus in all things, as has been stated above, both trinity and unity and unity in trinity must be worshipped. (28) So he who desires to be saved should think thus of the Trinity. (29) It is necessary, however, to eternal salvation that he should also believe in the incarnation of our Lord Jesus Christ. (30) Now the right faith is that we should believe and confess that our Lord Jesus Christ, the Son of God, is equally both God and man. (31) He is God from the Father's substance, begotten before time; and He is man from His mother's substance, born in time. (32) Perfect God, perfect man composed of a human soul and human flesh, (33) equal to the Father in respect of His divinity, less than the Father in respect of His humanity. (34) Who, although He is God and man, is nevertheless not two, but one Christ. (35) He is one, however, not by the transformation of His divinity into flesh, but by the taking up of His humanity into God; (36) one certainly not by confusion of substance, but by oneness of person. (37) For just as soul and flesh are one man, so God and man are one Christ. (38) Who suffered for our salvation, descended to hell, rose from the dead, (39) ascended to heaven, sat down at the Father's right hand, from where He will come to judge the living and the dead; (40) at whose coming all men will rise again with their bodies, and will render an account of their deeds; (41) and those who have done good will go to eternal life, those who have done evil to eternal fire. (42) This is the catholic faith. Unless a man believes it faithfully and steadfastly, he cannot be saved. Amen.